Welcome to Minnelusa.com your source for Minnelusa digital well log data. Available for immediate delivery are 5,587 wells. Log traces digitized are Sonic Porosity (travel time), Deep Resistivity, Gamma Ray, and Spontaneous Potential. Coverage includes Campbell, Crook, and Weston Counties in Wyoming's Powder River Basin. The interval digitized is from the Minnekahta through the entire Minnelusa sequence. Data values are stored every one foot. By including the deep resistivity curve, you now have the ability to perform detailed log analysis including water saturation calculations. 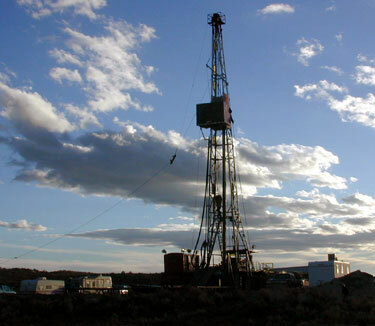 The source of the well logs was the files of the Wyoming Oil and Gas Conservation Commission located in Casper. The large five inches equal to 100 feet scale log was digitized to maximize accuracy. All digitizing was done by hand by petroleum engineers who are familiar with logs, and therefore we believe the quality control has been enhanced. Data files are delivered in the LAS format. The LAS (Log Ascii Standard) format is the the industry standard for digital well log data. Please feel free to contact info@minnelusa.com if you are in need of digital log data not contained within this database or for any of your other geology/engineering data needs.